December 2013 | Michelle Visage - Official Site! Okay maybe it’s a bio girl, but honey, she needs to practice before she steps outside into the real world. Where the hell was her mother? Better yet, her gays?? PS. This is what Taylor Swift looks like to me when she walks in heels, like a deer fresh out of it’s mothers’ womb. 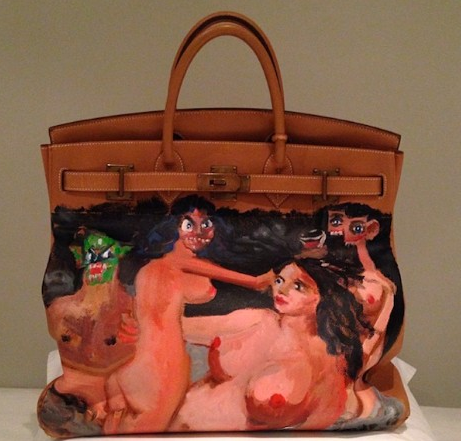 This is what Kanye did with a perfectly good, camel leather, Hermes Birkin Bag for his love Kim Kardashian. I know it’s a piece of artwork by George Condo (I love his works) and I am all for art and artistic expression, but seeing Kim walk around with it just looks wrong. She looks completely uncomfortable with it, it’s not her at all. It’s also not my fave piece of work by GC either, but that is my opinion. It looks like something my daughter did and if that were the case, I would wear the bag every single day. At least she didn’t say the opposite. Fergie told In Touch that she would choose motherhood over fame any day. It’s so much easier to be honest when you are actually a mommy as there is NO feeling in the world like the feeling of motherhood. The Artist Formerly Known as Stacy has done crazy things to adjust, like wearing lower heels and changing the shape of her now defunct stiletto nails. 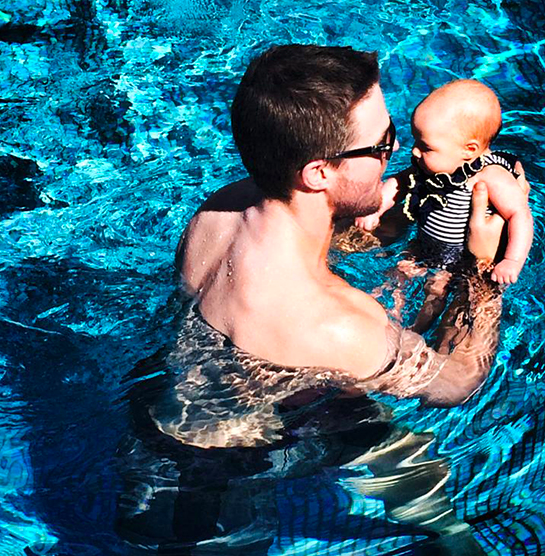 She would like a daughter next, of course, but is loving her time with baby boy Axl. Fergie and Josh still like to get all crazy though, as seen here in the pic.